More than half the population of Belize are bilingual, and a large proportion are multilingual. Belize’s economy depends on the export of petroleum and agricultural items such as sugar and bananas, although tourism is expanding rapidly. 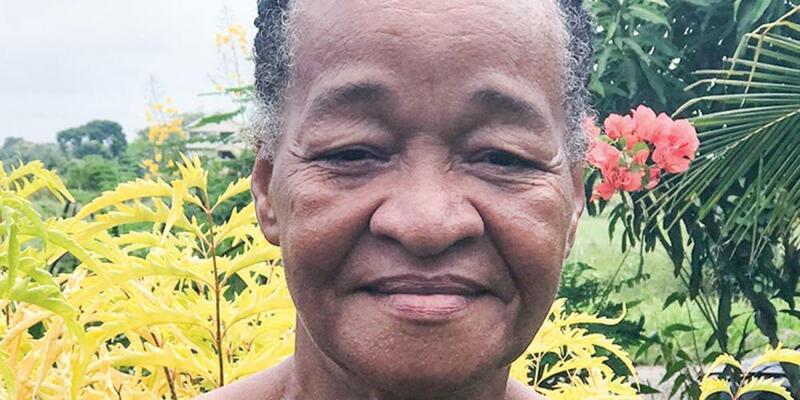 Sadie [pronounced: SAY-dee] worried what her husband, Marcus, would say when he found out that she wanted to be baptized at an evangelistic series in Belize. She had attended the meetings every night, but Marcus had refused to go. She knew he wouldn’t like her decision because it meant she would stop dancing, drinking, and going to parties with him. Sadie waited until Thursday night, two days before her baptism, to break the news. She knew just when she wanted to make the announcement. Marcus always stretched out an arm after lying down in bed, and Sadie always rested her head against it. So, Sadie waited until her head was comfortably resting on his arm before speaking. “I’m going to be baptized on Sabbath,” she said, softly. Marcus immediately yanked away his arm, and his face darkened with anger. He raged for a while, and Sadie listened until he paused. Then she spoke. “If you leave me, God is going to make me happy without you,” she said. Marcus didn’t say another word and rolled over to sleep. The answer didn’t satisfy him. “If you go through with this, I’ll beat you the next time I see you,” he said. Sadie was scared, and she asked people at the evangelistic meetings to pray for her. She also prayed for God’s protection. Marcus wasn’t home when she returned from her baptism on Sabbath. But her heart began to pound when he walked in the front door. She was sure that he was going to beat her. Life went on as normal after the baptism except Marcus complained about his Sabbath meals. He wanted Sadie to cook for him on Saturday and accused her of disobeying him. He refused to eat the food that she prepared and instead went to a bar near the Adventist church to eat. He also drank there while she was in church and greeted her with a drunken hug when she walked past on her way home. Sadie prayed for God to touch her husband’s heart. She began ironing his best clothes every Friday so he would have something to wear to church. One Friday, Marcus agreed to go to church the next day. But that night he went to the movies and then a bar. Sadie spoke sternly to her husband. The house shook for what seemed like an eternity, and Marcus cried the whole time. A neighbor saw him crying through the house’s open door. When the earthquake stopped, Marcus began to have second thoughts. “I’m not going to church because people will say I came because of the earthquake,” he said. Sadie and Marcus became faithful church leaders in Belize. Sadie, who is now 63, has led six evangelistic campaigns that resulted in more than 50 baptisms. Hundreds more have joined the church through her and Marcus’ influence. Part of the 2015 Thirteenth Sabbath Offering went to build a campground where the Adventist Church can hold regular evangelistic meetings in Belize. Thank you for your mission offering. Read Sadie’s conversion story on page 24 of the Children’s Mission quarterly or online here.